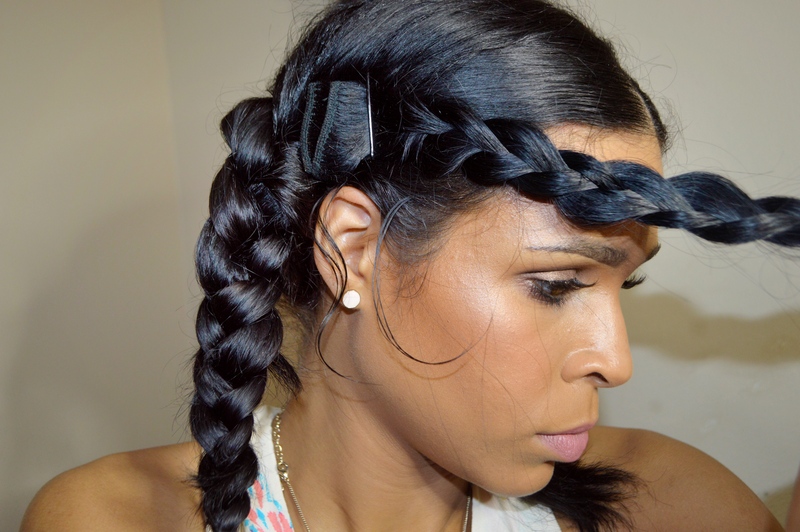 So it looks like the Crown Braid is one of the it hair styles right now. I have been seeing it every where, on all textures of hair, and it’s a style just about anyone can wear. My third attempt at this style was the most successful of the three. 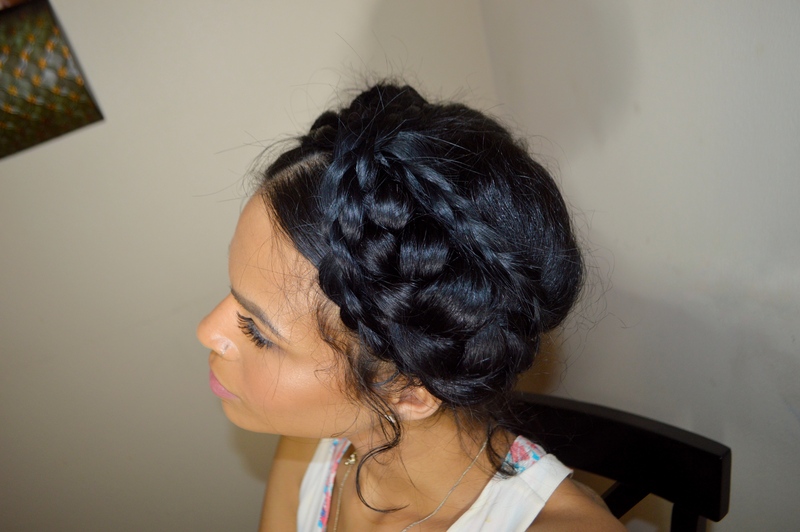 It seems like the easiest way to go about the Crown Braid is to get the hair braided and pinned as securely as possible before you even worry about the end result. 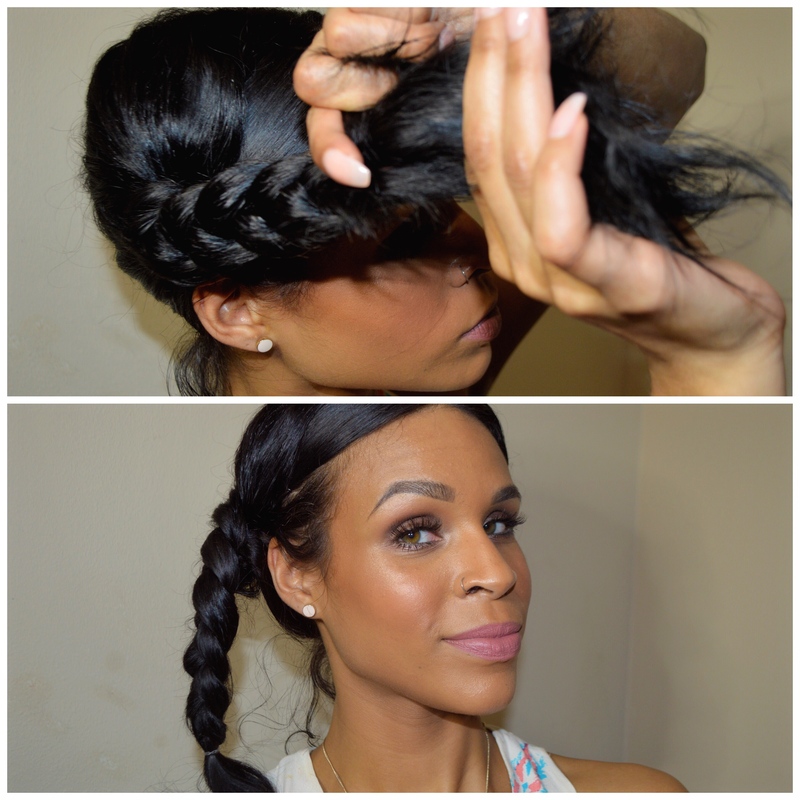 The tugging and adjusting of the braids that happens after the hair is pinned is what really makes this whole style come together. 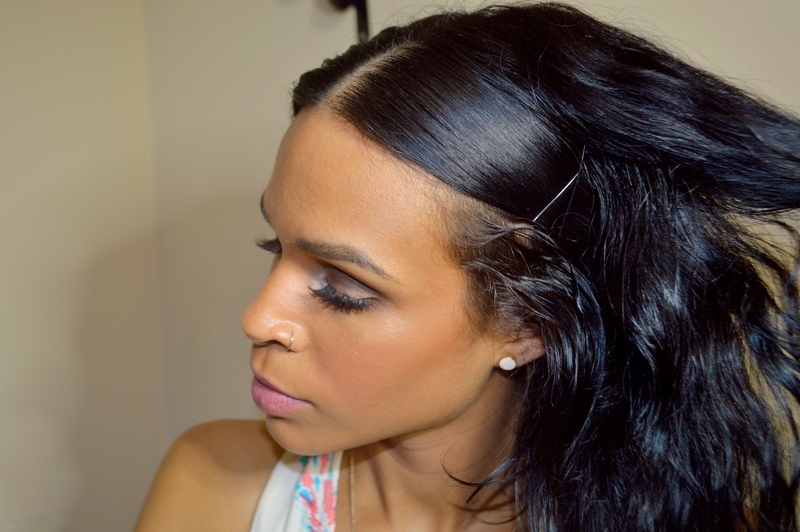 The biggest trick to achieving this Pinterest inspired style is….Weave. 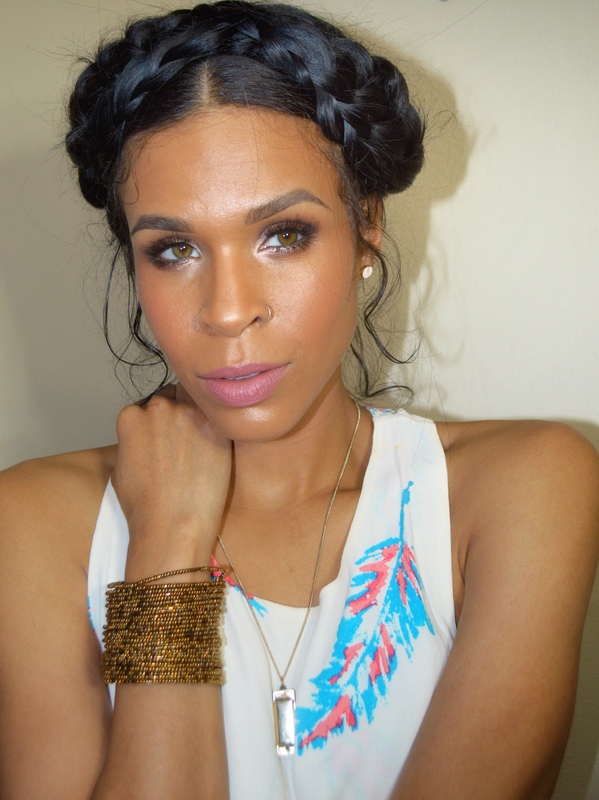 I tried this style using only my natural hair and they didn’t turn out horrible… but we all know when scrolling through the internet for an hour getting all inspired for our look of the day, then try to recreate it yourself and it’s a dud. So the second time I threw in some Clip-Ins and it turned out a lot better!! STEP 1: Spray the hair down just enough to get it damp. 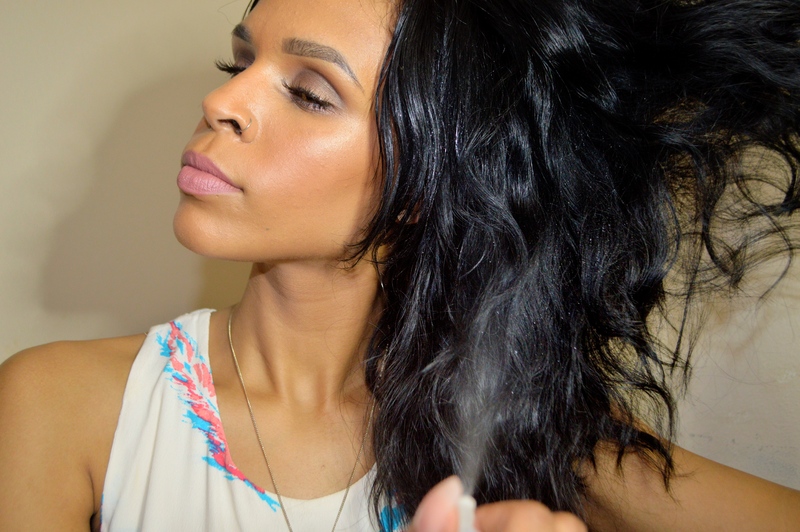 This will give you a little bit more control over the hair and allow for a more sleek look. STEP 2: Section one side of the hair off for a clean part. This way you won’t have to worry about accidentally grabbing any stray hairs from the wrong side. STEP 3: I learned along the way that if you pull your hair up and over to the opposite side when braiding, the braids will lay much softer and will be easier to pin. 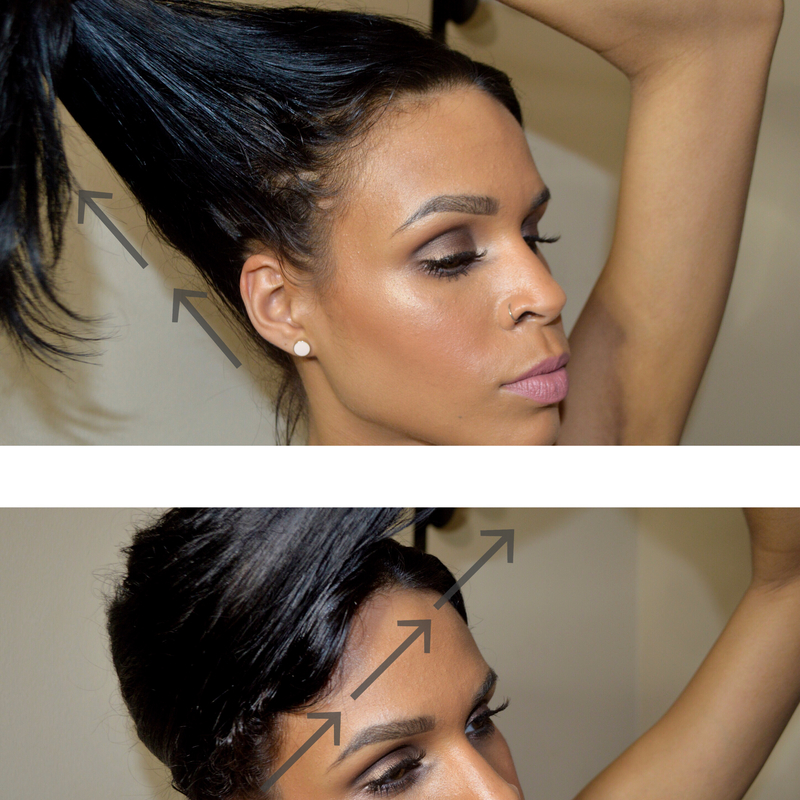 Pinning a front section of the hair down by the face helps a TON!.. I learned this trick the second time I attempted this style. 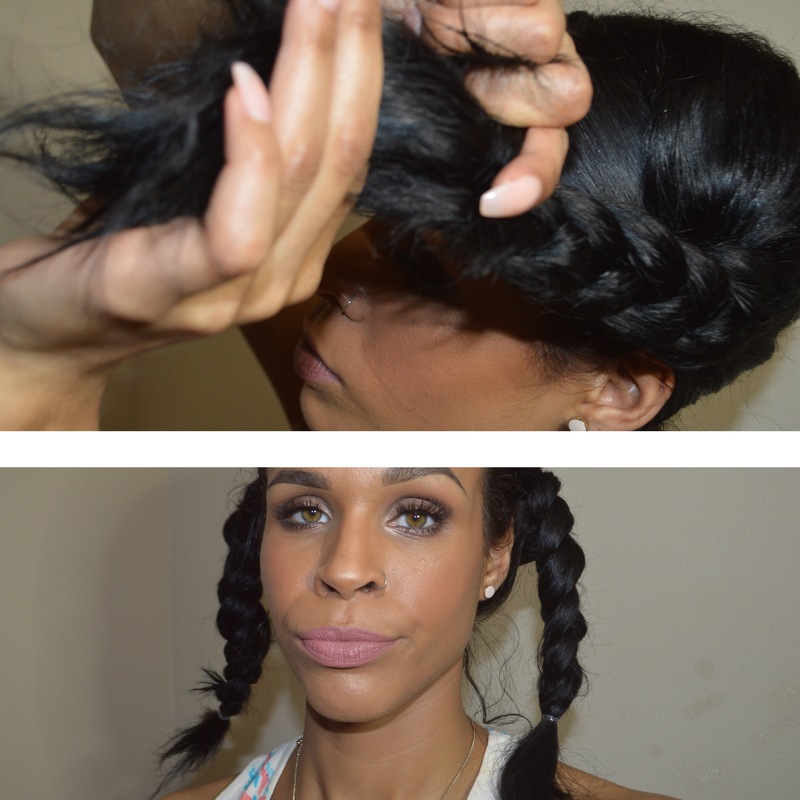 STEP 5: Do the same thing on the other side….And yes when you’re done the braids should look a little Pippy Long Stocking-ish so don’t worry! 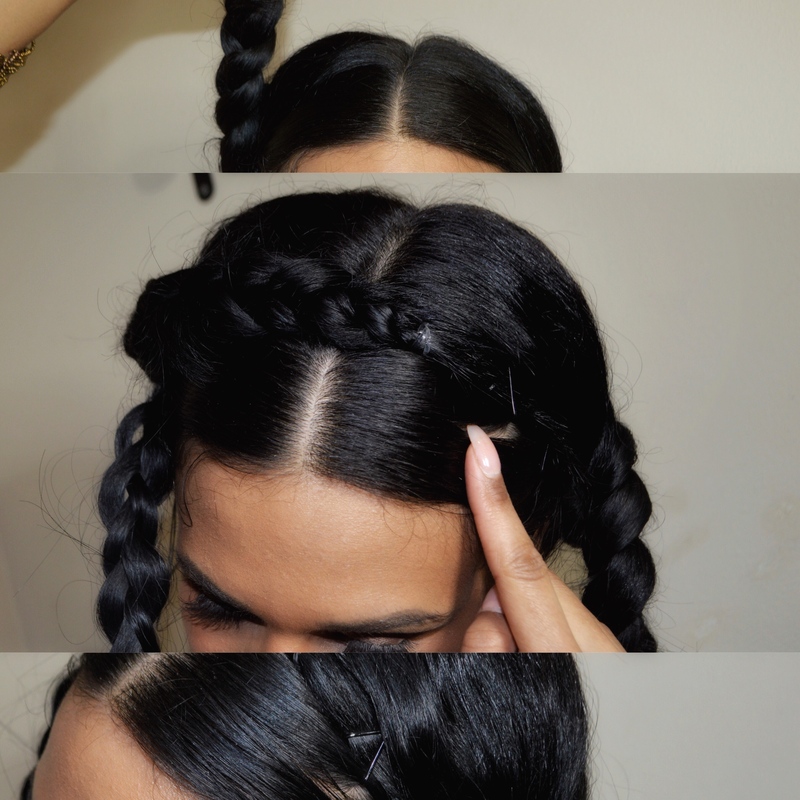 STEP 6: Add Clip-In’s to the base of each braid. Once you start pinning the braids this area will be covered up. 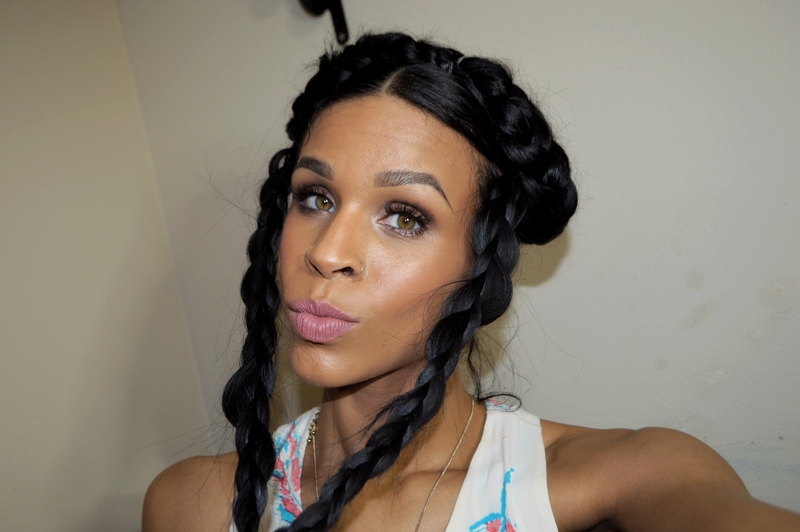 STEP 7: Pull each of the braids with your natural hair up and over to the opposite side. 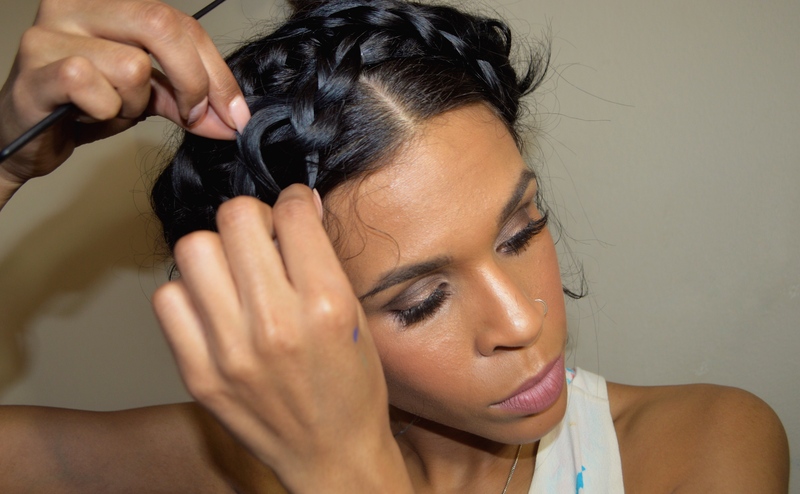 Be sure your braids are secure, because if you like a looser style you’re going be pulling and adjusting the braids later on. I’ve found the criss-crossing or overlapping bobby pins allows for a tighter hold on the hair. STEP 8: Pull each of the last two braids to their opposite sides and pin. 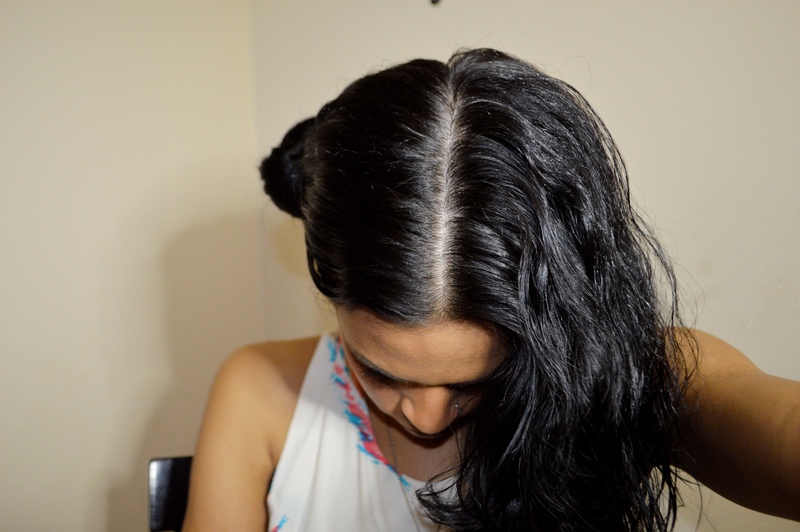 Now the hair should be really coming together!….I like my braids to be a little looser and for my hair to look a little fuller so I didn’t want to leave the style quite like this. I tried my best to separate the braids a little bit more and pin certain areas so the braids looked a lot bigger. Since I’m no hair stylist it was a little tricky to get it the way I wanted without pulling out the whole hair do. I also went in and pulled out quite a few pieces of hair surrounding my face… Just because that’s what everyone else seems to do with this style so I figured I should too! There you have it! 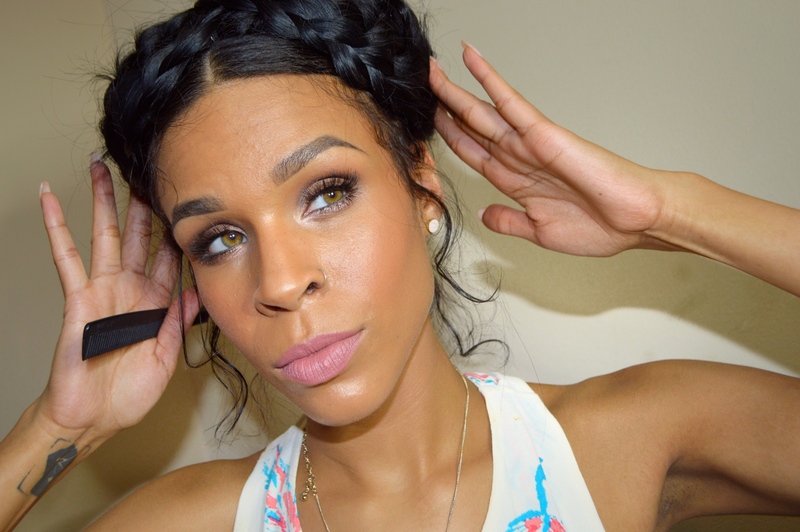 Now you’re supa fly with a trendy hair style for spring!